It is a marketing tool, not a scientific term. In short, superfoods are foods that are rich in nutrients. They are mostly plant-based but include some fish and dairy. According to the American Heart Association, there are no established criteria for determining what is and isn’t a superfood. The term originated in the U.S. and is used only by marketers, not scientists. In Europe, the term has been adopted, but may only used for those products whose ‘positive characteristics’ for heath (vitamins, minerals, good fats, enzymes) have been proven. The term ‘superfood’ is a marketing tool because ‘superfood’ on the label boosts sales. The term superfood has resulted in increased sales of certain foods, is now a billion dollar industry, and it has encouraged consumers to eat more of those healthy foods, which is a good thing. The concern scientists and nutritionists express is that consumers might focus on only a few superfoods and not have a balanced diet. The scientists advise a balanced diet with variety. Variety is important because it gives us many vitamins and minerals, and also prevents us from consuming too much or too little of a particular nutrient. Variety also keeps our meals interesting! Antioxidants that are thought to prevent cancer. Healthy fats, thought to prevent heart disease. Fiber, thought to prevent diabetes and digestive problems. Phytochemicals, the chemicals in plants responsible for deep colors and smells thought to have numerous health benefits. Here is a list of the most popular superfoods. Please remember to eat a balanced diet and not feast on only blueberries for a week. Blueberries, strawberries, raspberries, blackberries and cranberries are all high in fiber, potassium and vitamin C. They also have strong anti-inflammatory properties. Many studies suggest that eating berries might lower the risks of cancer, cardiovascular disease, diabetes and age-related mental decline. Recently, acai and goji berries have been gaining popularity for their beneficial nutrients and it has been suggested that they may have twice the antioxidants of the other, more common berries, and ten times that of grapes. Bananas are the most popular fruit in the U.S. They contain vitamins B6 and C, manganese, fiber, potassium and copper. They have two types of fiber that encourage friendly bacteria in the gut. They are also a source of sustained energy and their mineral content helps in preventing muscle cramps. These dark leafy greens provide at least 19 essential nutrients to include magnesium, potassium, iron, folate, and vitamins A, C and K. They are also good sources of calcium. They have anti-inflammatory and anti-oxidant properties that help protect against age-related eye disease, cancer and osteoporosis. Fatty fish are a great source of protein and are very low in saturated fat, unlike many cuts of meat. Fatty fish includes salmon, herring, tuna, rainbow trout and mackerel. These fish are rich in unsaturated fats including omega-3 fatty acids. These are thought to lower risk of heart disease and high blood pressure and protect against neurodegenerative diseases like Parkinson’s and Alzheimer’s. It has also been suggested they protect against arthritis, depression and type 2 diabetes. One serving of oats contains fiber, protein, iron, thiamin, manganese and magnesium. They reduce LDL, the “bad” cholesterol, which helps lower the risk of heart disease. Eating oats has been linked with lower blood pressure and blood glucose levels and a reduced risk of type 2 diabetes. Quinoa is one of the few plant foods that provides all nine of the essential amino acids we need. Quinoa provides fiber, protein, several B vitamins, zinc, copper, magnesium, manganese, phosphorous and iron. It is a gluten-free grain. There is not a lot of research on quinoa but what there is suggests it has antioxidant properties and may help reduce weight. These are the dried seeds of legumes and they are rich in protein, fiber, folate, manganese, potassium, iron, magnesium, copper, selenium and zinc. Others in this category are chickpeas, black-eyed peas, fava beans and lupins. Consuming dried beans and lentils has been associated with lowering blood cholesterol levels and inflammation, reducing weight and helping to prevent heart disease, hypertension, diabetes and some types of cancer. 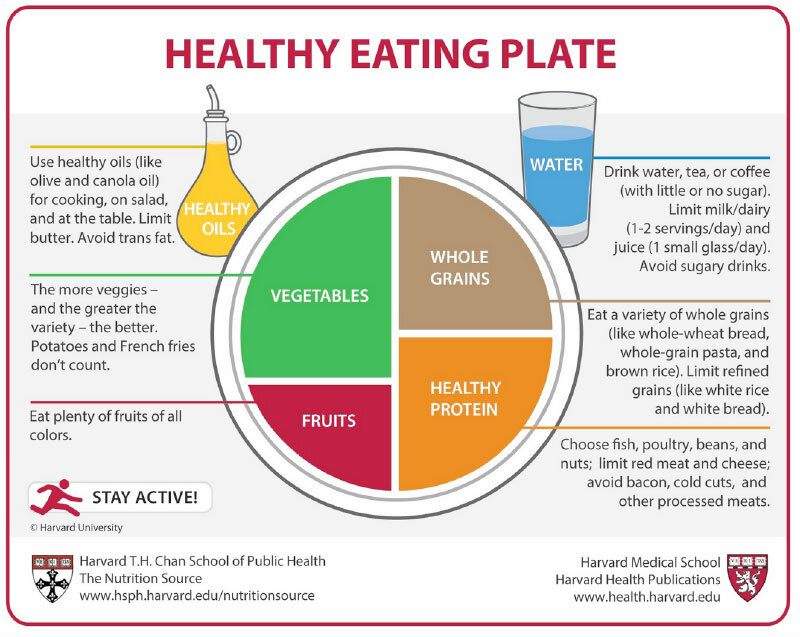 You can have your very own ‘healthy plate’ at home to guide you towards healthier eating. $19.95 for a four-pack at Amazon. Because ‘superfood’ is a marketing term used by the food industry to increase sales, much like ‘natural’ or ‘organic’, a food that is legitimately healthy and nutritious in its original state, can be turned into a much less healthy food by its processing. For example, Green Tea several antioxidants, but when it is sold in the U.S. it is cut with inferior teas and brewed with lots of sugar. Many whole grains are also processed to be more palatable to the U.S. consumer and thus become less healthy. Instant whole grain oats are as unhealthy as processed white bread – both loaded with sugar. (from an article in LiveScience.com). Read labels carefully and try to purchase superfoods in their natural state and cook them at home. Update on Sugar – the Tobacco of Today? 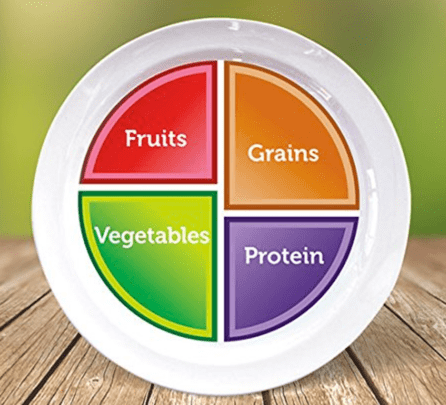 Chronic Inflammation – Do You Have It?